Calcium reacts with hydrochloric acid, 3 of 3. 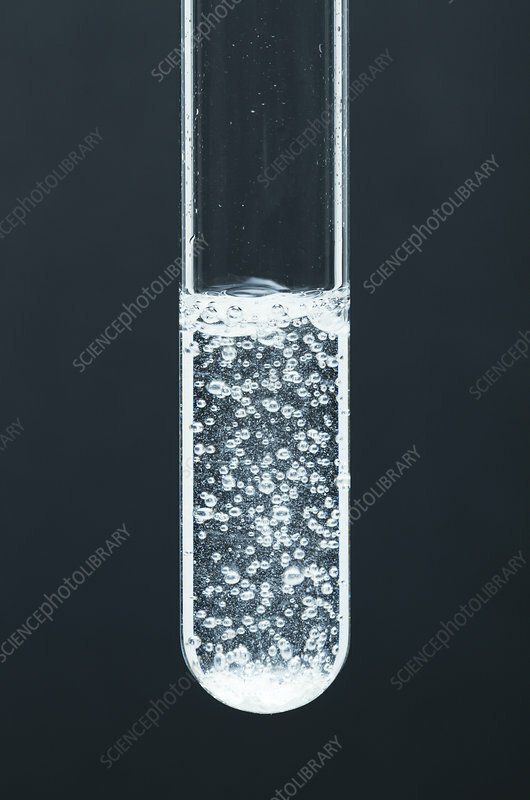 In this sequence a chunk of calcium metal (Ca) is dropped into a test tube with 0.1 M hydrochloric acid (HCl). Calcium reacts vigorously with the acid producing hydrogen gas (H2) bubbles: Ca + HCl -> CaCl2 + H2.